I feel like I’ve been planning this baby’s nursery for almost eight years. My son Logan, now seven years old, came along at a time when I didn’t have the luxury of providing him with his own nursery. I lived in a one bedroom flat and he spent about eight months sharing a bedroom with me before we moved back in with Logan’s grandparents. Even in 2012, whilst expecting my daughter Florence, our house only had three bedrooms. Florence’s ‘nursery’ doubled as a guest room and a storage room. As the house was rented we couldn’t really decorate or make it our own. Finally, now we own our own home and four bedrooms, I can put together the sort of nursery I’ve always wanted my children to have. We’ve moved Florence into the second bedroom and the baby will be in the smallest bedroom, which is actually one of my favourite rooms of the house as it’s so bright and warm in there. As you will see from the photographs, it’s still a decent sized room and I have a double bed ready for those nights when I need to sit up feeding and Matt needs sleep! Initially we hadn’t planned on finding out the gender of baby number three and so I dreamt up a nursery colour scheme of Grey, Yellow and White. It would have meant changing the blinds we had recently purchased as they are quite feminine. However, curiosity got the better of us, and we found out baby was in fact a little girl. 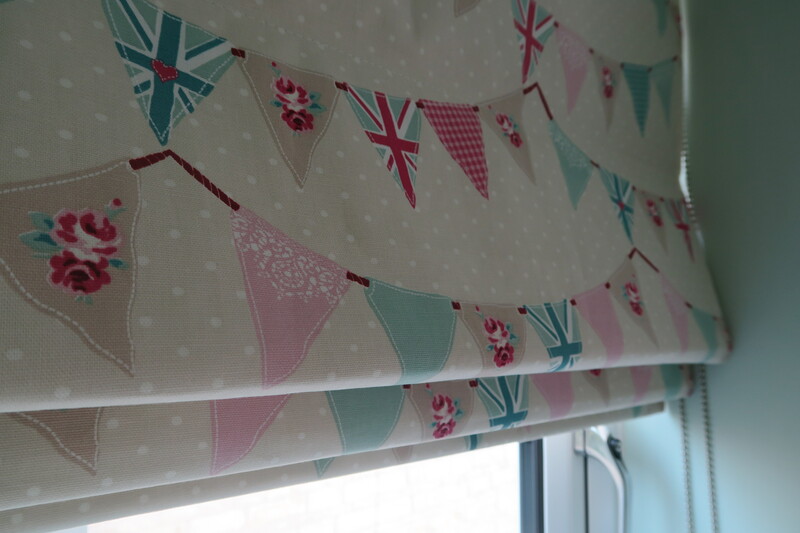 This was good news on the decorating front as it meant we could build the nursery around the blinds. 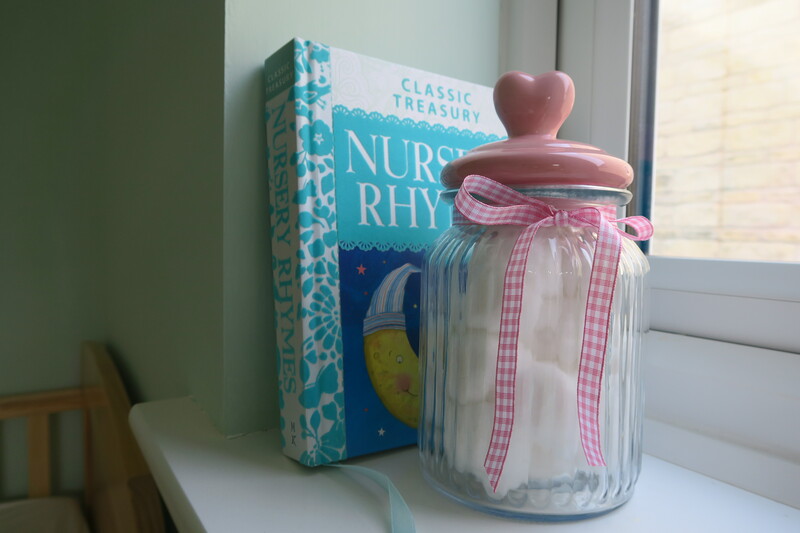 Florence’s bedroom is already pink (or will be in a few weeks) and so I wanted to choose a different colour for baby. I liked the look of the sage Green colour and so we went with this and matched the paint as best we could. I am thrilled with the overall finish – it’s a really pretty shade. 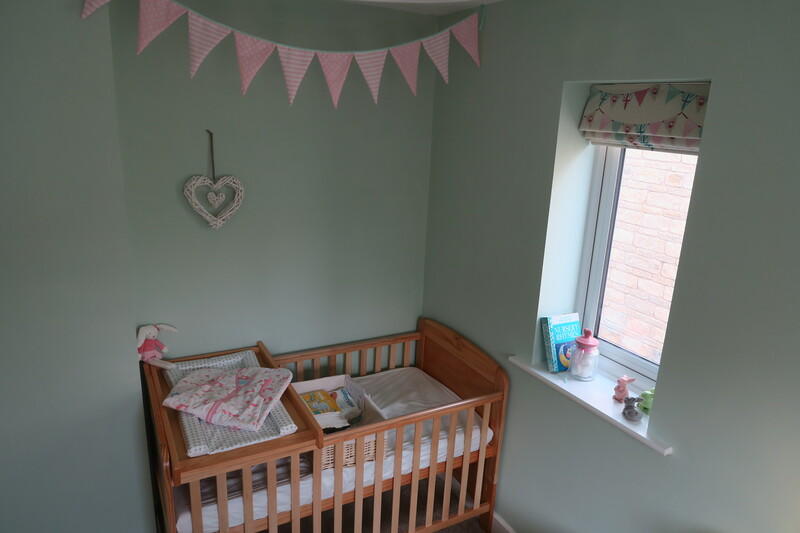 I’ve used Pink as more of an accent colour, baby’s wardrobe has pink doors and I picked up this super cheap bunting to add more interest over the cot. The window sills are full of decorative accessories and I just need to find a few more pieces to pop on the wall to brighten it up. I’ve seen some really beautiful prints online so I’m planning to make a few purchases in the next couple of weeks. 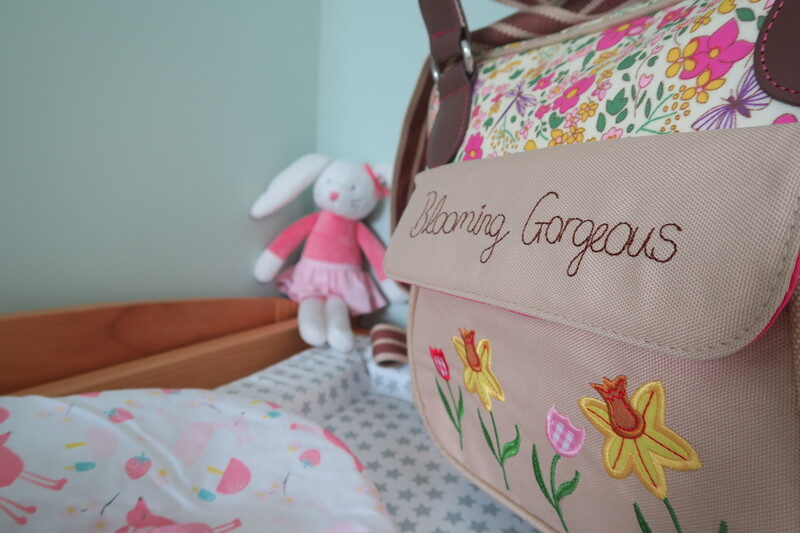 We’re still waiting for the moses basket to arrive, and whilst the baby is in the moses basket the cot will be used to store the basket of products required for a nappy change. I’ve places a hook on the back of the door for baby’s towels and her snowsuit, which I picked up in the sale. 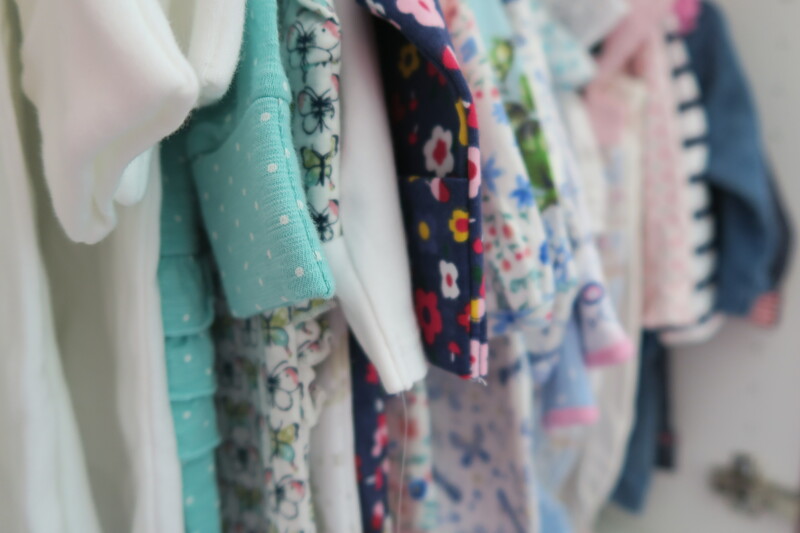 There is a little wasted space under the cot and so I’d like to get some storage crates for clothing as I’m only too aware of how much children accumulate over time. Once the nursery is nearer completion and baby is imminent I will do a video tour of the room to give you a better idea of its contents. It does look lovely. My son’s nursery was so small it was difficult to do much with it. 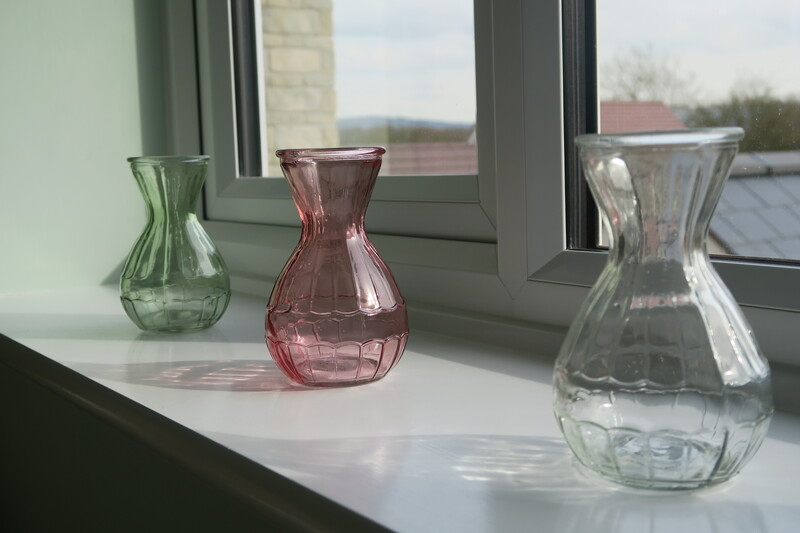 We were given lots of things which was nice and saved money, but not quite my choice. She has a beautiful bedroom, I adore the blind and she has a better wardrobe than me!